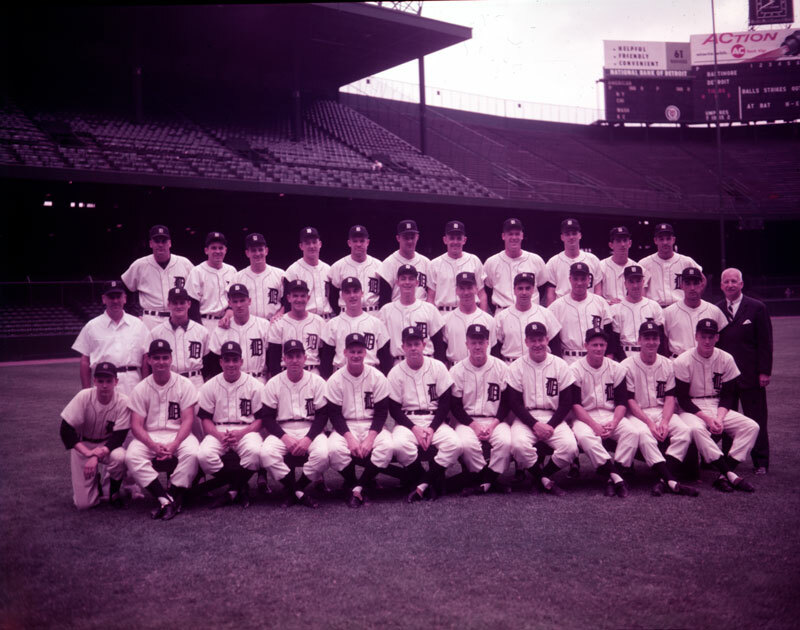 1958 At first blush, this photo taken at what was then Briggs Stadium (renamed Tiger Stadium in 1961) looks like any typical grouping of a baseball team’s roster. But 1958 was no ordinary year for the Tigers; indeed, it was historic. No, there were no pennants or World Series for the team that year, but they did sign their first player of color: Ozzie Virgil Sr., seen in the bottom row, third from left. Virgil, who usually played third base, was a solid if not stellar player, but he was on fire in his debut game with the Tigers, going five-for-five at bat. Signing Virgil, who was born in the Dominican Republic, was historic, but long in coming; the Tigers were the second-to-last team in the Major Leagues to integrate. Boston was the last. In large measure, the reluctance of the Tigers to bring a black player on board had to do with their owner: Walter O. Briggs. To call him unprogressive in the realm of civil rights would be charitable. 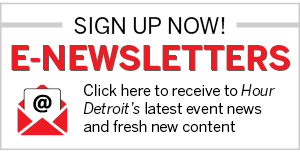 In fact, his own great-grandson, Harvey Briggs, wrote a 2017 op-ed for the Detroit Free Press in which he called his relative a racist. Not only did Briggs ban black players, he didn’t allow African-American fans to sit in the box seats. It was Jackie Robinson who broke the color barrier in modern-day baseball when he signed with the Brooklyn Dodgers in 1947, but in the late 19th century, Moses Fleetwood Walker became the first African-American to play professional baseball with the former Toledo Blue Stockings. In 1959, two African-American players, Jim Proctor and Larry Doby (who signed with the Cleveland Indians three months after Robinson joined the Dodgers) played briefly for the Tigers. But it wasn’t until Jake Wood joined the team in 1961 that an African-American played with the Tigers for a sustained duration. Virgil worked as a coach when his playing days were over. As of this writing, he is still alive and has an airport named after him in his homeland. His son, Ozzie Virgil Jr., also played with various major-league teams from 1980-’90.